Reflections and Ruminations: When a generation of children cannot tell time on a clock face, we have problems. But there are worst problems. When a generation of children cannot tell time on a clock face, we have problems. But there are worst problems. 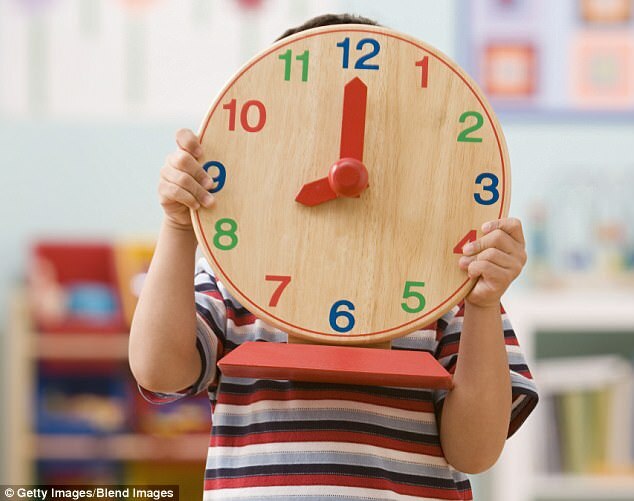 A recent video clip from an American TV show called Jimmy Kimmel Live featured children on the streets of Los Angeles being asked if they could tell the time shown on an analogue clock face. Only one could, out of about a dozen children, with the youngest probably around the age of 7 and the oldest a young teenager. I was aghast. Apparently, Jimmy did this to see if it was true that children these days lack this ability. 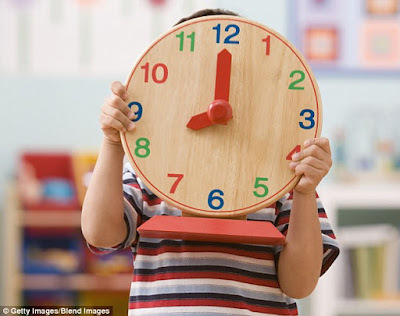 It made the news in the UK in late April that schools in Britain were changing the clocks in examination halls because students are not able to tell the time because they can only read digital clocks. It isn’t rocket science by any means to say that what we are taught influences greatly what we know and how we live. Worldly logic tells you that. That these children of our times aren’t able to tell time by looking at a clock face is the result of their not being taught this skill. It has somehow been removed from their early school curriculum, and the consequence is that we have a generation incapable of doing this simple task. I found myself asking if this state of affairs is also somehow reflected in the church. I believe that we do see a similar lack – not in terms of reading clock faces, but perhaps in the understanding of the rudiments of our faith. Whether or not this is the result of modernity or an increase in agnosticism, as a preacher I have noticed that the laity are often unable to comprehend classic theology parlance and phrases that we sometimes use and refer to. Would that those in the congregation not look perturbed or clueless when they hear references to terms like grace, the theological virtues, or the three states of the Church Triumphant, Suffering and Militant. Granted, maybe these are a bit unrelated to the life of the so-called moderns, but I have come to discover that it is far more dangerous and alarming when they have lost the ability to define and articulate what love is in the full Christian sense. The consequence is that we are a generation that only defines love in one way, much like the generation that is only able to read time in the digital form. I have spoken and written repeatedly about love. And in my musings and reflections, I have always been challenging myself to make it clear that as Christians, we have a definition of love that is distinct and clear, with a very different texture and character from how the world sees love. The purest love, which is God’s love, is willing the good of the other, and for the sake of the other. Note that nowhere in this definition is there any mention of feelings or sentiments. It is completely selfless, altruistic, has an unmistakable element of self-donation, disinterested in returns of any form, and most importantly it is freely given and unconditional. Because this is characteristic of the way God loves, it truly raises the bar and sets a very high standard for us when it comes to love. For us Christians, to know that there is this bar that is set high and a standard that is gold is truly beneficial because it tells us what we are capable of, and it points the way that we should be loving. It is when we do not teach this clearly and unequivocally to our young charges that they will in turn become unclear and ambivalent when it comes to love. To be sure, there is a vast majority of humanity that defines love in less lofty terms, often associating it with romance, feelings, sentiments and emotions. Of course, I do understand that just leaving love at the level of the will can give the impression that if we live out this kind of love as it is theologically defined, we may easily end up being as cold as a medical student’s cadaver. But this is a wrong impression, and certainly not how the Church wants her members to live. Jesus, who personifies this kind of selfless love was truly human and no one would call Jesus cold and passionless. Scripture speaks of him having human emotions like joy, sadness, fear, anger and hunger. I’d be delighted to see innovative and engaging ways that are employed to impart to our children the need to always associate love with fidelity, sacrifice, long-suffering and delayed gratification. Unfortunately, the Instagram and Twitter obsessed generation finds little attraction in cultivating these necessary virtues. Couple this with a prevalent sense of entitlement, and there will be very little chance for one to even think of cultivating virtue. Maybe this is why it is rare to find young people excited and joyful about living these virtues – they are probably clueless that one can live with these virtues and values in life, just like how so many are probably clueless about being able to tell the time off the face of a clock. Putting your blog on FB is a good idea as it pops up and inspires one to stop and give pause to fresh ideas about our faith. My sense is that somewhere between the kids of today and our generation, the goalposts have shifted. They face challenges of a different nature in a digital world. To me, and the inability to read a 24-hour clock to me indicates simply that the concept of time has shifted. I’m not sure if this is good or bad, but if it is practical and it works, perhaps it’s not necessarily a bad thing. Love is by definition undefinable. As Catholics, we look to the bible for guidance. Love is patient and love is kind. In today’s context, I see this as trying to put myself in the other person’s shoes and being reasonable, rationale, tolerant and trying to do the right thing in an often hostile, competitive and challenging environment. Thanks for inspiring thought about what our virtues and values should be. God bless! At the very core , if not essence, of Christian Spirituality is Love - so it is with much enthusiasm that I perused your post this week. Scripture especially the New Testament abounds with teachings & exhortations about Love especially from St Paul and St John both in Gospel & Letters ( 1Cor : 13, Matt 22:39, Lk 10:27, 1John : 4:16-19, John 3:16) -just to mention some of the favorites. Yet how is one to understand this Thomistic or AGAPE love? Is it way beyond our ken? When I reflected on what Paul said in ( 1Cor: 13:3) - it would seem that - mere following of the law of religiosity or sacrifice is not the answer.......”if I give away all that I have or deliver my body to be burned, but have not love, I gain nothing......” What then is this love? So to be able to love like that one must have faith - the essential element is the God-element! I’m not sure if I’ve got that right but somehow it’s re-assuring to know that in 1John - “......we know and believe the love God has for us....we love because He first loved us....” That’s His gift-love to all of us -so that we can love, not as the world loves but learn to love as He love. Thanks Fr. for giving food for thought.